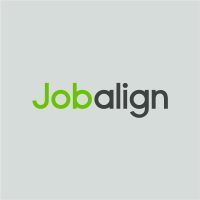 Jobalign was founded with one principle in mind: Make a positive impact on the lives of 77 million hourly workers in the U.S. and the 1.3 billion hourly workers worldwide. We do this by working with employers to make the process of reaching and hiring hourly workers simple and efficient. Our focus is on making the experience of using our Candidate Engagement Platform ideal for the hourly worker, with a mobile-first interface that is free of advertising and marketing solicitations. We work with organizations that hire hourly workers to help them better engage candidates, so employers get the best hourly candidates with less friction than traditional hiring platforms. We’ve put together a team who’s committed to helping hourly employers find candidates and hourly workers find great opportunities. Throughout Douglas’ career, he has consistently focused on creating customer value, which in turn drives company success. Douglas brings more than 15 years of experience as CEO, board member, and company builder to his role as chief executive officer of Jobalign. As CEO of AccessLine Communications, Douglas drove a company turnaround that grew revenue 10x and went on to become the CEO of the acquiring company, Telanetix. At both companies, and in his most recent role at Intermedia where he led worldwide sales, Johnson focused on building customer-first organizations that drove company success. Prior to AccessLine, Douglas took on ever-increasing roles of responsibility, driving product and sales in the wireless business, at McCaw Cellular Inc. and then AT&T Wireless. Douglas began his career with Touche Ross (now Deloitte and Touche) as a CPA. He holds a B.A. in Accounting and Finance from Washington State University. Andy has 20 years of experience in financial leadership for early stage technology companies. Prior to joining Jobalign, Andy headed up the finance and administrative functions for growth companies in several industries, including financial services, software, and clean technology. Andy started his career as a certified public accountant with Ernst & Young LLP in Boston, Mass. 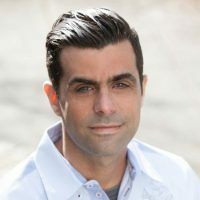 Andy holds an MBA and masters in Accounting from Northeastern University and a B.A. from Trinity College. Jake has been a part of the Jobalign team since day one and took on several different roles to help grow the awareness and adoption of Jobalign’s product. 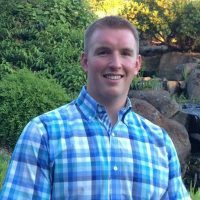 As Jobalign’s product evolved and the company started to acquire new customers, Jake was responsible for the account management and customer service positions, working directly with the employers and job seekers who were using Jobalign on a daily basis. After leading the account management team, Jake took his experience and passion for working with customers and transferred that to the product team to further drive a customer-centric product. Prior to Jobalign, Jake worked for two other early stage companies, working very closely with the co-founders to bring their ideas to fruition. 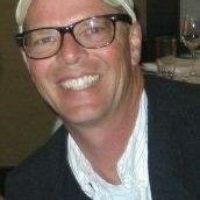 Bret has 30 years of experience in building sales and strategic alliances in the hi-tech industry, driving bottom-line results, growth and profitability for both emerging growth companies and Fortune 1000 institutions. In his current role Bret is supporting our RPO, Staffing and HR technology alliance partnerships nationwide. Bret holds a Bachelors of Science degree in Computer Information Systems from DeVry Institute of Technology. Dave is a veteran software engineer, tinkerer, and learn-it-all, with more than 20 years’ experience. Dave is passionate about three things: people, technology, and how they converge in unique ways to help us connect and solve problems. 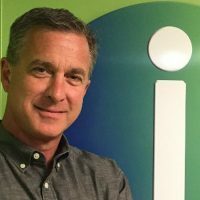 Throughout his career, Dave has helped create numerous successful, innovative solutions by being customer-obsessed and constantly evangelizing for the user experience. Dave grew up in Montana, graduating from Rocky Mountain College with a bachelor's degree in Computer Science, spending the majority of his professional years in the New York City and Seattle areas. After graduating from the University of Washington with a B.S. in Computer Science, Thomas joined Vertafore, the leading provider of insurance software solutions. Early in his time there, he was tasked with serving as a founding member of the team to re-architect the enterprise product offering. As a results of the project, the product went from losing customers to becoming one of the fastest-growing company offerings. Following the successful completion of this project, Thomas helped form the team responsible for creating standards and solutions for all of Vertafore’s engineering efforts, including the creation of a UI platform used on all product offerings company-wide. In 2013, Thomas followed his passion for entrepreneurship and joined Jobalign, where he quickly gravitated to providing the best possible experience for the job seeker. In this role, he increased candidate efficiency and satisfaction by more than 60 percent. Now as director of engineering, Thomas leads the engineering and product teams to provide the next generation of candidate and employer experience. Tim is a managing director of Madrona Venture Group, a leading venture capital firm with approximately $1 billion under management. 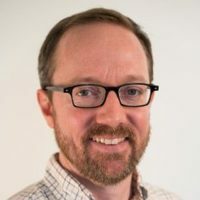 In addition to serving on the board of Jobalign, he currently serves on the boards of Algorithmia, Context Relevant, Jama Software, Mobilisafe, Seeq, Shippable, Union Bay Networks, and Z2, among others. Tim is a member of the three-person investment committee for the Alliance of Angels seed fund. He also serves on the board of the Washington Technology Industry Alliance. Tim is particularly interested in the areas of SaaS applied to both horizontal and vertical applications, cloud infrastructure and automation, data analytics, security, and enterprise mobile. 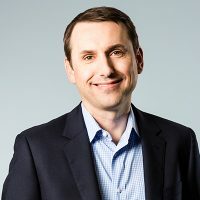 Prior to joining Madrona in 2006, Tim was a key member of Microsoft’s corporate development group, where he shared responsibilities for sourcing, structuring, and negotiating Microsoft’s acquisitions, strategic investments, and joint ventures. While at Microsoft, Tim focused on enterprise software, security, and mobile, and closed 14 transactions for over $850 million. Notable transactions included Microsoft’s acquisitions of Softricity, Frontbridge Technologies, ProClarity, Whale Communications, and Giant Company Software. Tim received his bachelor’s degree in Mechanical Engineering from MIT and holds an MBA from the Stanford Graduate School of Business. Mikal is co-founder of Trilogy Partners and managing director of its investment company. Trilogy has invested over $100 million in wireless and high-tech companies focused in the Northwest. It also owns and operates wireless systems in Bolivia, the Dominican Republic, and New Zealand. 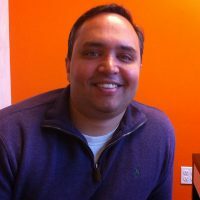 In addition to Jobalign, Mikal serves on the boards of Protemo, WineBid.com, The August Wine Group, and the Alliance of Angels. 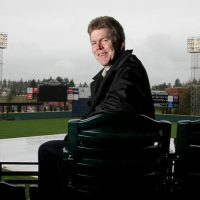 He’s also chairman and CEO of the Tacoma Rainiers baseball team and member of the Board of Trustees and past chairman of the Washington State University Foundation. He has served on the board of the Museum of Glass in Tacoma, Western Wireless Corporation, IPCS, Snap-In, Airband, Dashwire, and University Prep in Seattle. Mikal joined McCaw Communications in 1983 as one of the first employees in its cellular division. After starting up a number of operations in midwestern markets, Mikal became general manager of McCaw’s Cellular One operations in Utah and later in West Florida before running its international operations. In 1991, Mikal co-founded Pacific Northwest Cellular, serving as managing director. After a series of acquisitions and mergers, he became chief operating officer of Western Wireless and its subsidiary, VoiceStream. He later became president of Western Wireless. A native of Tacoma, Wash., Mikal graduated from Washington State University with a degree in Business (Finance). Rudy is an active angel investor, an advisor to startups, a passionate supporter of the Seattle technology ecosystem, and currently serves on the board of directors of Jobalign. He joined local internet startup Evri as the vice president of business operations in 2008. Prior to Evri, Rudy served as vice president and general counsel of Facebook, where he had responsibility for all of the company's legal matters. In 1999, Rudy joined Amazon and served as vice president and associate general counsel for business development, intellectual property, and new technologies. Rudy was the principal legal negotiator for Amazon's most significant strategic alliances and joint ventures, oversaw the company's development and licensing of patents and other intellectual property, and was responsible for all legal aspects of Amazon's new technology initiatives. From 1994 to 1999, Rudy worked at Perkins Coie, the Northwest's largest law firm. At Perkins, he represented clients ranging from startups to Fortune 100 companies in a diverse array of matters, including joint ventures, development, protection and licensing of intellectual property, and mergers and acquisitions. Rudy was recognized by Washington Law and Politics magazine as a "Super Lawyer" in 2003 and 2004, a designation awarded to the top 5 percent of Washington state lawyers as voted by their peers. He holds a bachelor of arts degree in economics from Franklin and Marshall College and graduated from the University of Washington School of Law. Miki is the co-founder and former president, and CTO of Jobalign. He was responsible for driving product development from the idea phase through design, architecture, and successful implementation. Prior to Jobalign, Miki held business development and product management roles at Microsoft, where he led the market launch of a new security technology in Windows. He oversaw several partner deals with Fortune 500 companies, led partner negotiations, and managed internal virtual deal teams. He developed the partner ecosystem for the Windows Smart Card Framework. Before Microsoft, Miki was founder and CTO of Ancora Technologies, a developer of a groundbreaking computer security technology for consumer devices. He previously held several engineering management roles in startup companies, including Blue Pumpkin Software and hiho.com. Miki holds an LL.B. degree from the Interdisciplinary Center in Israel and is an alumnus of Israel’s 8200 elite military intelligence unit. Miki holds U.S. patents on secure PIN transmission, licensing protection and methods to avoid reverse engineering, and is a certified private pilot. Madrona funds innovative technology companies, primarily in the Northwest. It funds the passion behind an idea and the potential of that idea to revolutionize the way people work, live, or play. 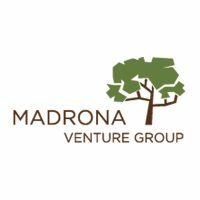 Madrona funds not only with money but with time, resources, and unbridled enthusiasm for all that goes into taking a company from idea to market success. We have a long track record of funding success stories with more than 30 startup exits. 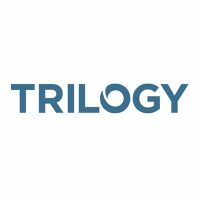 Trilogy Equity Partners is a closely held investment firm based in Bellevue, Wash. Trilogy’s roots include the formation and leadership of some of the largest mobile operators in the United States, as well as other global technology and wireless companies. It applies a team-oriented approach, deep operational expertise, and a flexible capital structure to help entrepreneurs build great companies. 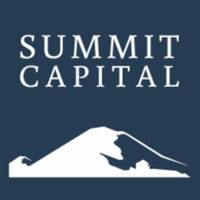 Summit Capital is a Northwest-based boutique financial services firm focused on providing clients with a common-sense approach to active asset management. Its core investment philosophy is an opportunistic, value-oriented approach, centered on preservation of capital, providing solid risk-adjusted returns in all market environments. 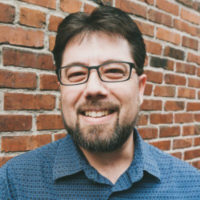 Rudy is an active angel investor, an advisor to startups, a passionate supporter of the Seattle technology ecosystem, and currently serves on the board of directors of Jobalign.com. Rudy has extensive experience in digital marketplaces at a large scale and global social networks. Based in Kirkland, Wash., just outside of Seattle, Jobalign is on a mission to impact the lives of millions of hourly workers. Are you passionate about our mission and excited to work in a fast-paced, customer-focused, high-growth environment? Take a look at our open positions and let’s chat immediately.